I can eat breakfast for any meal on any day. I have taken it to a whole new level with the purchase of my new spiralizer from Williams-Sonoma. This is a great tool to add creativity and variety to your Whole30 meals. 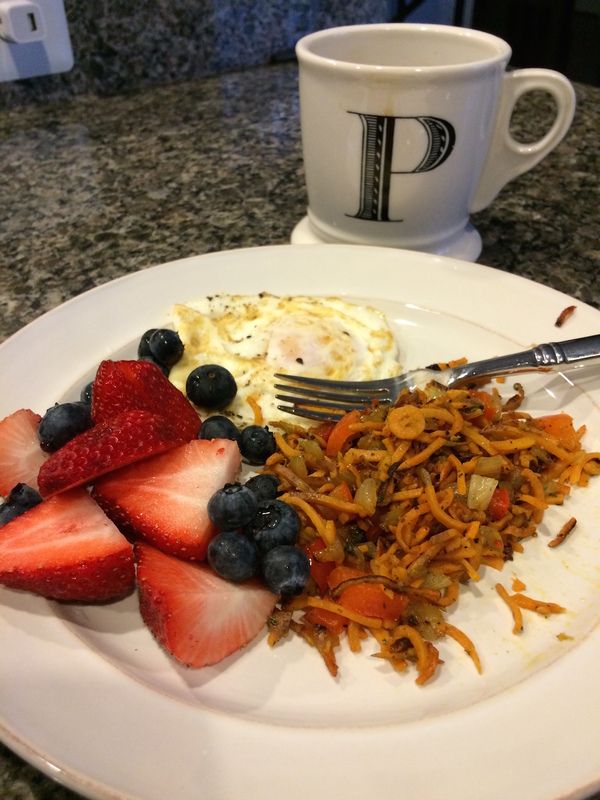 If you are a breakfast lover like me you will love this meal! It is so easy and healthy! 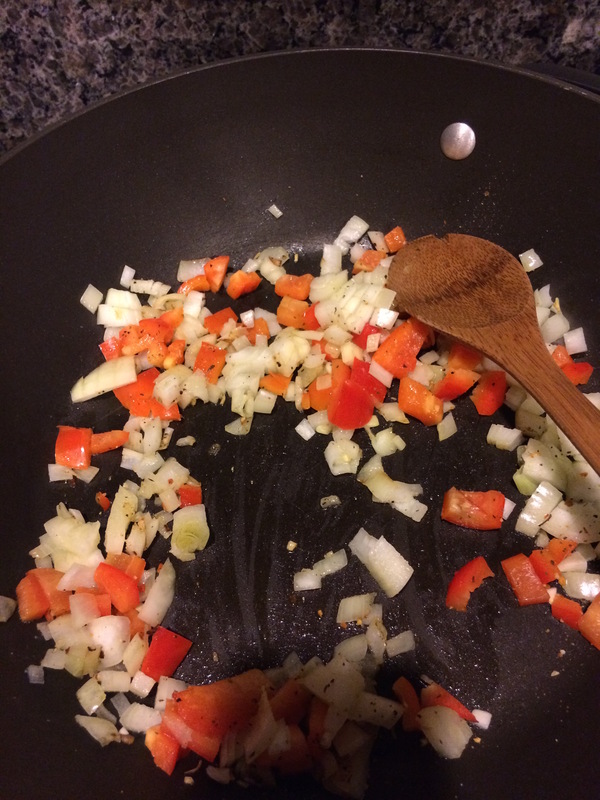 Saute(in Ghee) pepper and onion in large frying pan over medium-high heat until soft. Add sweet potato and season with salt, pepper, and parsley. Cook until edges of potato are golden brown. About 5-10 minutes. Serve with eggs or any dish of your choice. Enjoy! 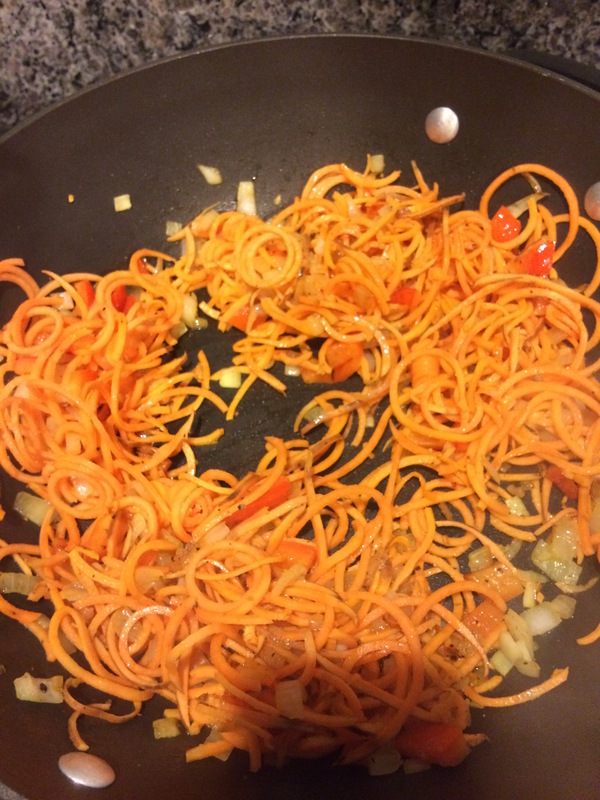 Stay tuned for more fun recipes featuring the spiralizer! 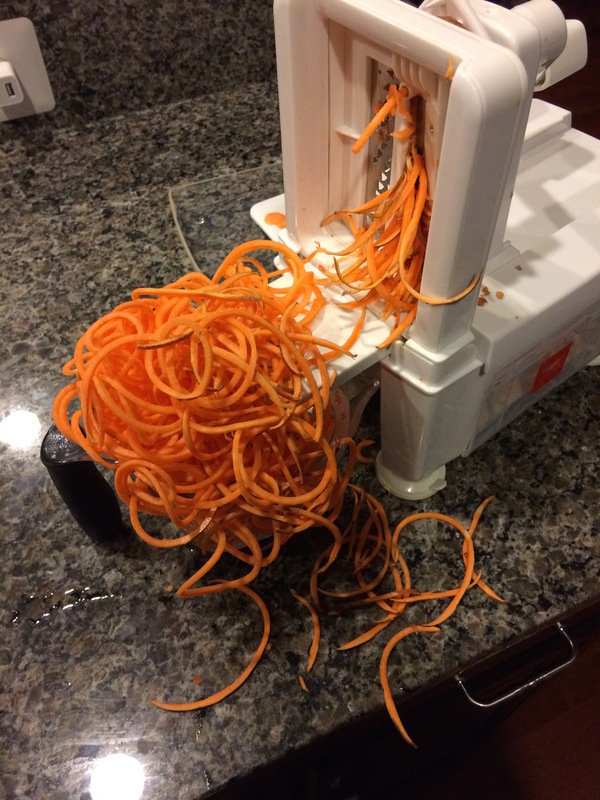 If you are interested in purchasing a spiralizer check out the links below! I went with the four blade option for more variety of cuts.